For connecting commercially available headphones, microphones or headsets. By adjusting the stand, the console can be propped up independently on flat surfaces such as floors and tables. Supports microSD, microSDHC and microSDXC memory cards. Game data that cannot fit on the console's system memory can be stored on these. Use this groove to attach Joy-Con. Connect devices such as an AC adapter or Nintendo Switch dock here. Please note: output via HDMI cable in TV mode. In tabletop mode and handheld mode, the maximum resolution is 1280x720, which matches the screen resolution. Connect accessories like the Nintendo Switch Pro Controller (sold separately) or the Joy-Con charging grip (sold separately). Turns on when image is being output to the TV. Insert the Nintendo Switch console to connect. Works with USB 2.0. USB 3.0 support is planned in the future. By closing the back cover, you can hide the connecting part of the various cables for a simpler presentation. *Launches with USB 2.0 support, but USB 3.0 support will be added in a future update. Can be pressed down and used as a button. Takes a screenshot or video during play. Used to attach the Joy-Con to the console or Joy-Con strap accessory, etc. Can be pressed down and used as a button. Can also be used as an NFC touchpoint to read and write amiibo data. Suspends software and opens the HOME Menu. Lights up when a notification is received. Used to detach the Joy-Con from the console. Indicates the player number for each Joy-Con. Pairs the controller to the console and can also be used to reset the wireless connection. Capable of varied and precise vibrations. Please note: this time is an estimate. Actual time may vary depending on individual usage patterns. Please note: to charge the Joy-Con, you must attach them to a Nintendo Switch console or Joy-Con charging grip (sold separately). The particular button changes depending on whether the strap is attached to the left or right Joy-Con. You can use any Joy-Con strap with either the left or right Joy-Con. Please use the + and − marks for reference when attaching. The groove for attaching and removing a Joy-Con. Locking the strap close to your wrist helps ensure you don't lose your grip on the Joy-Con during play. Displays the controller number assigned to the Joy-Con. Press it until you feel a click to lock, ensuring the strap doesn't separate from the Joy-Con. Pull on it to release the lock, allowing you to remove the Joy-Con. Grooves for attaching and removing the Joy-Con. From the HOME Menu, you can start games and select game settings. In addition to managing friends and user accounts, you can also change your system settings here. The latest news about games will be delivered to your Nintendo Switch. You can purchase digital versions of games and downloadable content by accessing Nintendo eShop. You can also get more information about games by viewing commercials and promotional videos here. Here you can view screenshots you’ve captured during gameplay. You can freely add text to the images and effortlessly post them to social networks. *Some games may have sections where it is not possible to capture screenshots or videos. **Video capture and video sharing is available for consoles with system menu version 4.0.0 or higher. Find out more. 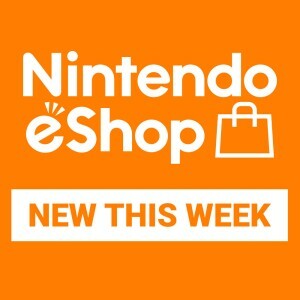 An internet connection and a Nintendo Account are required to use the News, Nintendo eShop and social network screenshot posting services. Go online* and play with far-off friends and users all over the world via Wi-Fi. With a LAN adapter, you can connect to the internet via a wired connection when playing in TV mode. *To play online, you will need to subscribe to the paid Nintendo Switch online subscription service. This paid service will be available free of charge until its official launch in 2018.